CANON FAXPHONE L190 26PPM LASER ALL IN ONE. 90 DAYS WARRANTY. WORKS EXCELLENT AND LOOKS LIKE NEW. 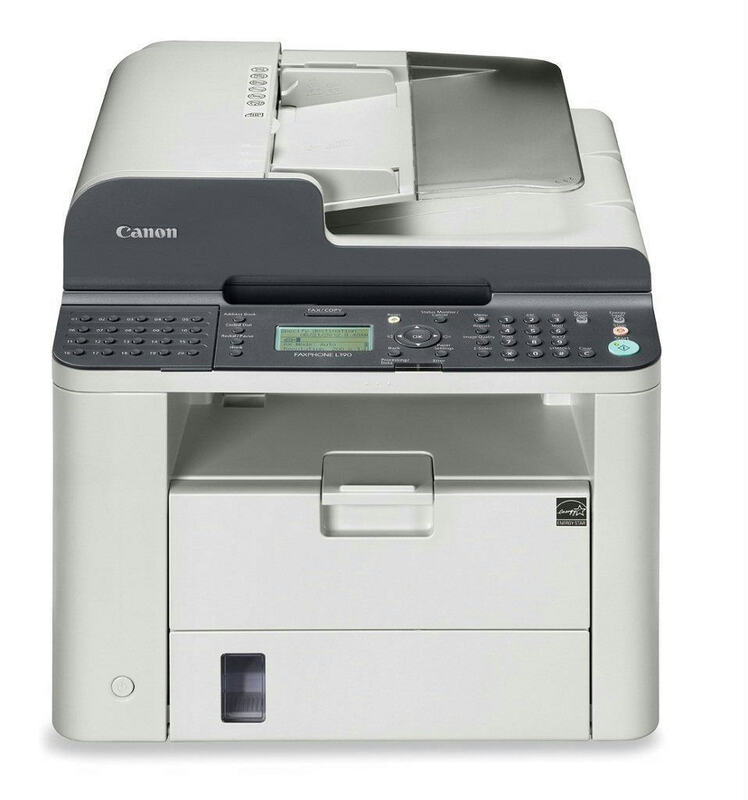 Canon Faxphone L190 is a handy Laser All-In-One Printer delivering crisp and detailed black & white images and files. The 26 ppm printing speed provided by this model makes it easy to complete any printing jobs with efficiency. It is capable to network with various devices through a USB 2.0 connection. In addition, this versatile printer has the ability to work as copier, fax machine, scanner offering its users even more beneficial functions. FULLY REFURBISHED WITH 90 DAYS WARRANTY. TWO NEW TONER CARTRIDGES ARE INCLUDED.